Working together? Accessing your apps from the road? Showing family videos to your friends? No problem with AnyDesk. And your data stays at home. request a security token from the destination computer that will be used on the next login. The feature can be disabled in the options tab. All tokens can be cleared there as well. icons tooltip in the status bar. - Fixed a rare crash in the service process. 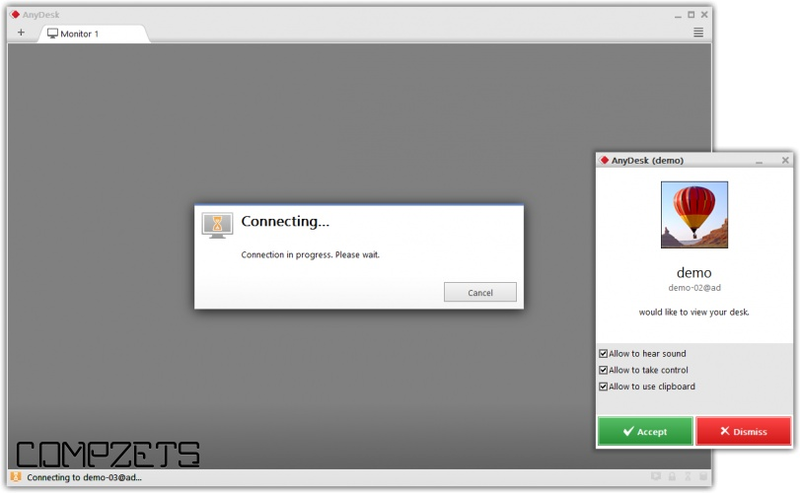 - AnyDesk must be installed to work on Windows Server, which isn't officially supported yet.